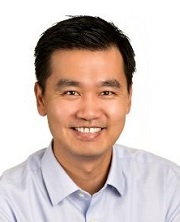 David Lee is the VP of platform at RingCentral. Prior to RingCentral, David was VP of product management at Box and a senior product manager at Yahoo, where he spent three years with the company's display advertising team. As Yahoo's lead product manager for video advertising, he launched new ad offerings that improved the performance of video ad campaigns on Yahoo by an average of 300% and implemented a partnership deal with Comcast. Before Yahoo, David worked at WebEx and was responsible for rolling out WebEx's MeetMeNow service, a solution targeted at the SMB segment. Early in his career, David worked as a systems engineer at Boeing's Commercial Aircraft division. David earned his MBA from Haas School of Business at University of California, and received a bachelor's degree in aerospace engineering from University of Southern California.